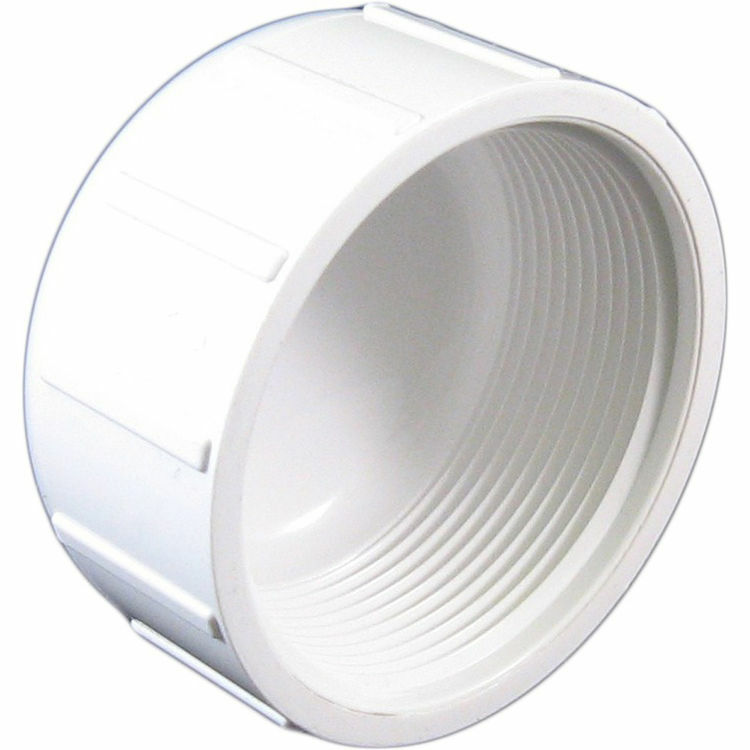 PVCCAP2T Schedule 40 PVC Threaded Cap, 2 Inch. A cap is a plumbing fitting that allows you to cap off or end a section of pipe. This cap has a nominal measurement of 2 inch and is for use with 2 inch piping. The PVCCAP2T has a female threaded connection, this means that it threads or screws directly onto the desired section of pipe. These fittings are great for water transportation applications such as irrigation and sprinkler systems. However they should never be used for gas or compressed air applications.